Are fire doors required in houses? If you’ve been looking to fit or replace the doors in yours or someone else’s house, you might be wondering if you’re required to fit fire doors. So to give you an idea of when you are required to, we’ve created this short blog. Fire doors are a type of door which have been designed in order to prevent the spread of fire and smoke during the event of a fire. The main two categories of them are FD30 and FD60, which offer 30 and 60 minutes of fire protection respectively, provided the door has been installed correctly. For domestic applications, FD30 versions are the most common. When are fire doors required in houses? If living in a two storey house where the property has an integral garage, the door between the main property and the garage should be a FD30 fire door. 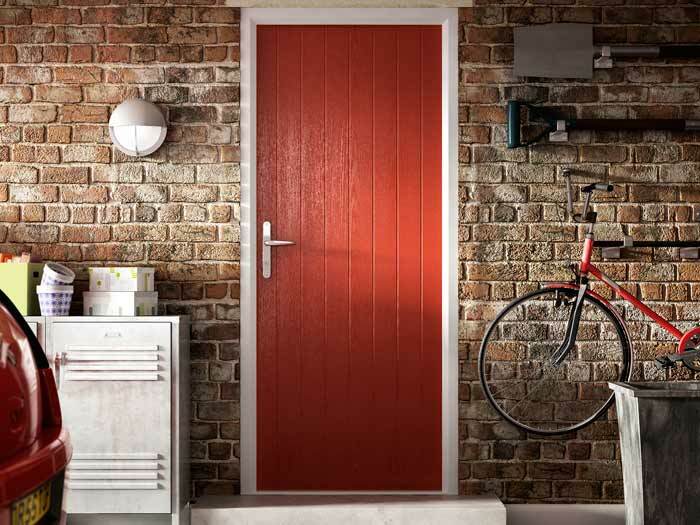 If you’re building or performing some renovation work on a house which is three storeys or above, every habitable room that comes off the stairwell must have a fire door fitted on it. Are self-closing devices required for fire doors fitted on habitable rooms that come off the stairwell in a three storey home? Self-closers are not required for those which are fitted in these areas. However, it is essential the doors remain closed at all times. The fire protection on offer is almost completely negated in the event they’re left open, meaning anyone in the house is at risk. Are self-closing devices required for fire doors fitted on integral garages? The short answer for this is yes, self-closing devices are a requirement for doors fitted in this area. It is also necessary for smoke seals to be fitted on them too. Do bathrooms require fire doors? As bathrooms and cloakrooms are considered low-risk, even if they’re fitted off the stairwell in a three storey house, fire doors are not required. Although, say there is a bathroom situated between a habitable room and the stairwell, a fire door should be provided either between the habitable room and bathroom or between the bathroom and the stairwell. Do I need to replace internal doors with fire doors? When replacing internal doors, unless they are already fire doors, it’s completely fine to replace them with standard versions. However, if you’re particularly conscious about fire safety, you may still decide that you’d like to replace them with fire doors anyway. Be warned that, if you decide to fit them yourself unless you’re highly experienced fitting fire doors, they may not attain the level of fire protection that you’re after. This is because even the slightest error, for example an excessive gap between the door and the frame, can severely limit the door’s ability to quell fire and smoke. Instead, Emerald recommends hiring an experienced fitter, such as ourselves, to fit them. Emerald Windows are home-improvement experts, offering a fantastic selection of doors, windows conservatories and more. For more information, give us a call on 0800 612 4154 or send us an online message. Category: Doors. Bookmark the article.